Home Special Features Interviews Computers Are Her Passion. Radio Is Her Love. Computers Are Her Passion. Radio Is Her Love. Kim Komando was nine years old when she first sat at a computer, helping her mother locate software “bugs” while she coded software. She ended up graduating from high school at age 16 and went to Arizona State University where she started helping people using computers. Kim graduated top of her class from ASU’s School of Business at 19 years of age with a Bachelor of Science degree in Computer Information Systems. Then it was on to IBM, AT&T, and Unisys working sales. At Unisys, she sold mainframe systems, being the only woman doing so. After she closed her biggest sale, Honeywell, a Unisys system for $11 million, Kim took that commission check and founded her own company, in 1992: “The Komando Corporation.” She quit sales to focus on her column and newly developed radio show, all about computers, of course. Komando developed computer training tapes like Komputer Tutor, which she sold by infomercial. Over 150,000 tapes were sold for $80 to $120 each. She has written 12 books on computers and technology. Over the course of 21 years, Kim Komando has certainly been a trailblazer in the radio industry. In 1991, she developed the concept and launched a new radio show about technology, being one of the very few women to host. The Kim Komando Show is now syndicated on over 400 stations nationwide and in over 177 countries on the Armed Forces Radio Network. And Komando has evolved her show just as the radio business has evolved. Radio always needs fresh content and new revenue streams, and Komando’s show provides stations the digital assets and programming to help drive NTR, local sales, and ratings. She’s been doing this now for 21 years, and two years ago, her company WestStar MultiMedia Entertainment, moved into a $7.5 million, 24,000-square-feet state-of-the-art broadcast facility in Phoenix’s north central business district. Kim Komando is on Radio Ink‘s 2017 Most Influential Women in Radio list, set to be released on June 19. She tells Radio Ink she is an entrepreneur but radio is what she loves to do. “We are a multimedia company. But radio was and is our foundation. Therefore, I am always selling radio. I believe in radio. I do not doubt radio’s continued reach or power. I am always selling our brand and our product.” Here is our extended interview with Kim Komando. Radio Ink: What are your responsibilities running your own company? Kim Komando: Manage. To run and grow WestStar MultiMedia Entertainment, Inc. To identify trends and pitfalls. To operate the company prudentially and wisely. The Kim Komando Show is a true multimedia platform focused on consumer electronics and tech. 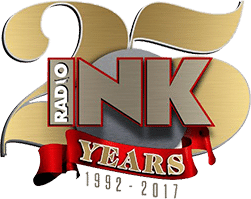 It is two national network radio programs, television products, audio and video podcasts, multiple Internet websites, a publishing company, and a retail operation. It is a national company in all respects. I am both talent and the company’s Chair and CFO. Research. The life cycle of technology is unforgivingly short. When The Kim Komando Show began almost 22 years ago, consumer tech was about finding the right television, stereo, and home computer. Today, consumer tech surrounds and envelopes us. Our lives are in the cloud. Our smartphones and other devices link us to our lives. That’s a far cry from simply finding the right TV or stereo. So, I must work hard researching to make all of this comprehensible, usable, and manageable to non-technical people. And that’s just about everyone. Radio Ink: What advice do you have on how to be successful? Kim Komando: Find your vision. Get focused. Stay focused. Believe in yourself. Trust your own ability. Do not allow others who tell you it can’t be done. Because it can. Love what you do. If you don’t love this business, then find another. If you are on the air, work hard to develop your unique style. True innovators, real “break-out” talent is rare. Work to be a break-out talent. If you are building a company or a brand, be prepared to defend it and fight for it. Avoid debt. Advertising is the heart of our business. Advertising is cyclic. Like the stock market it cycles up and down. Be ready for both extremes. Radio Ink: And what steps should people take to achieve their goals? Kim Komando: Understand that there are no shortcuts. You are not entitled to anything. Do not become distracted with irrelevant notions. “Entitlement” is an irrelevant notion. Go out of your way to be kind to everyone you meet. Do not be arrogant. You are never bigger than the room you’re in. Most important: Work hard. When you get tired, work harder. If you do more, you get more. It’s really that simple. Radio Ink: What is it about you that makes you successful and influential? Kim Komando: Hands-on management. Personal involvement. I always follow through. If I say I’ll do it, then I’ll do it. I personally read every e-mail from every listener. And I get thousands of them. I am personally involved with our advertisers. Their success is our success. Our listeners are our valued partners and customers. Our advertisers are our valued partners and customers. I treat them like they own the company. Because they do. Kim Komando: We must aggressively push forward with meaningful AM revitalization. Our AM broadcasters are under siege from all sorts of RF-emitting digital devices. Therefore, power increases are in order. There is no reason why our Class1-A and 1-B, 50 KW stations could not immediately be given a daytime power increase to 100 KW. This plan should implement a “highest and best use” policy for the AM broadcast spectrum. This would include a government buyback of lower power, low audience, unprofitable stations in towns big and small, in order to allow major power increases to many AM stations – especially at night. This plan should implement allocation of spectrum space for digital HD Radio ONLY broadcasting, perhaps in the Extended Band (1610 kHz to 1700 kHz). Should this prove successful over time, the band should eventually become digital only. Mandate that all smartphones and tablets marketed in the United States be made to receive AM and FM broadcast stations, live and in real-time. Further, this should not be accomplished through an “add-on” app, but rather it must be built in to the firmware of the device. We must prepare a new generation of radio broadcast engineers. Our current engineers are retiring in large numbers. Replacing these folks, who are knowledgeable in both digital and RF technology, is already proving to be problematic.